Now is your chance to own a breathtaking chess set featuring the iconic characters from Neil Gaiman's epic series including The Sandman, Death, Destiny and the rest of The Endless. 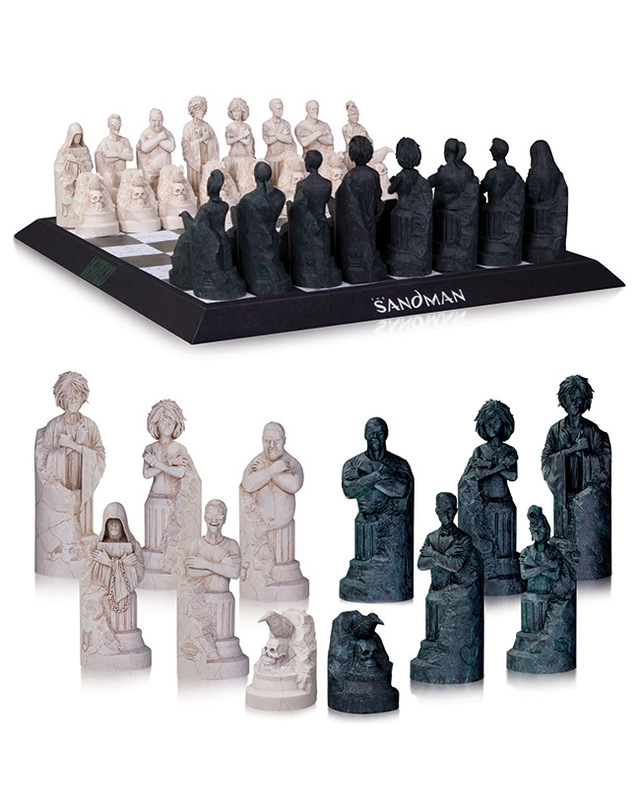 This set includes 32 chess pieces made of intricately sculpted cold-cast porcelain and a wood game board. 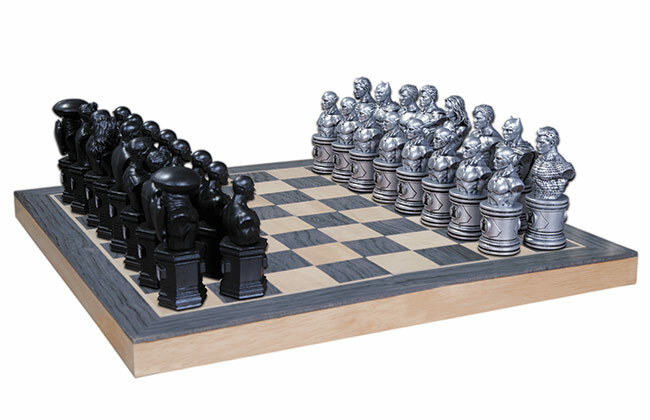 Now you can decide who wins the ultimate confrontation between the World's Greatest Super Heroes and the World's Vilest Super-Villains with this incredible chess set featuring intricately sculpted resin game pieces of Superman, Batman, Green Lantern, Wonder Woman, Aquaman, The Flash, Lex Luthor, Black Manta, The Joker, Cheetah, Sinestro and Reverse Flash that capture their look from DC COMICS - THE NEW 52. The set comes complete with a high-quality wood board with metal trim.